From left to right. 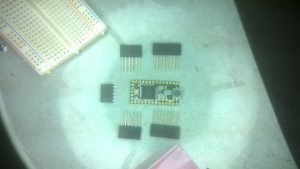 Teensy 3.2. 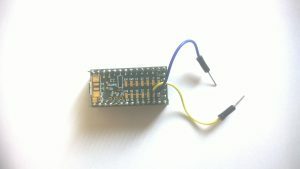 Bluetooth module. SD Adaptor with SD card. Differential pressure sensor. Absolute pressure sensor. Components Off the Shelf preparation for ADC Amaranth i2. Prior to proceed through this tutorial, please be sure to have all the components reported here. We need to prepare two components, the Teensy and the Micro SD Adaptor. We need to solder two rows of 5 breakaway headers. To our COTS SD_Adaptor, you find the pictures of the adaptor here. The top side is the side of the card with the metal card holder. The pins should go down toward the bottom side. Only one row of 6 breakaway headers should be soldered to the board. The part of the board with the metallic shielding is the top, the header should go from the top to the bottom. The Teensy Board should be fitted with stackable headers. It also possible to use straight breakaway headers. Check this tutorial on soldering the stackable headers. Check the alignment of the sockets when only a few pins are soldered. 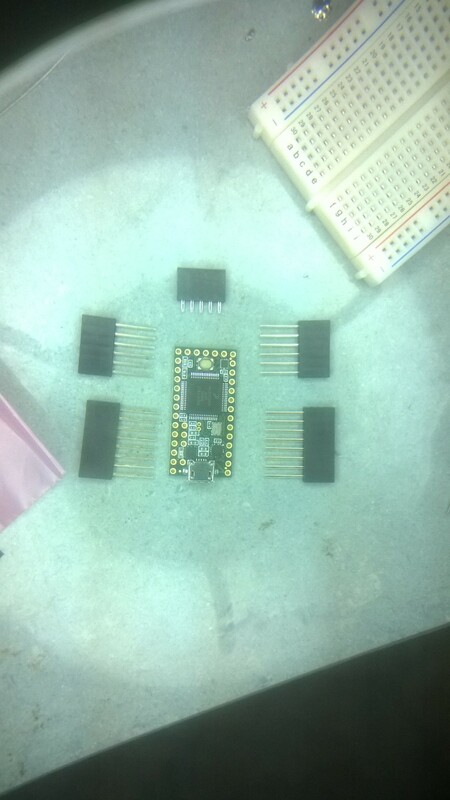 The connector P1 on the PCB carry the second Teensy I2C bus. On the Teensy the two correspondent pins are 29 and 30. 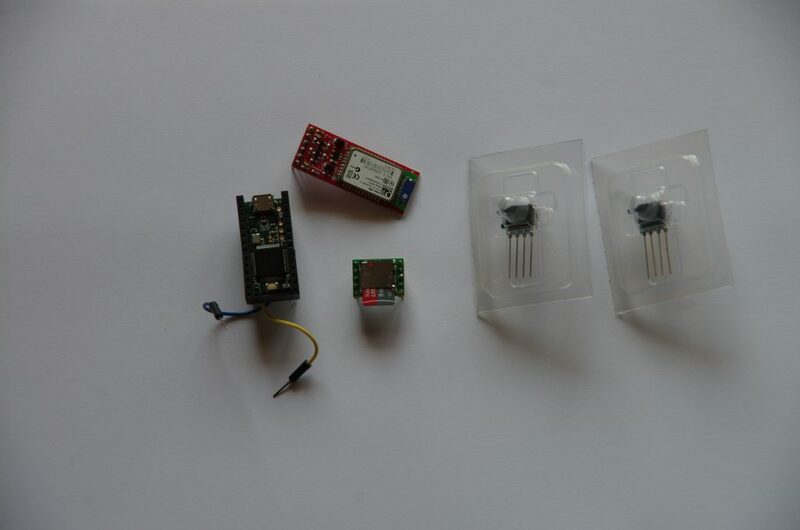 That two pins are available through an SMD pad. You need to solder two pin terminated wires to the Teensy board. Cut two jumper wires, you need to use the part with the male pin. The length of this wire should be about 55 mm. Now you can solder the two wires to the Teensy board. After assembly, you need to connect this two loose wires to the PCB connector P1.